I feel that this is the obligatory IoT project. If you’re going to do something IoT, you pretty much have to start with controllable outlets, and that’s just what I’ve done here! 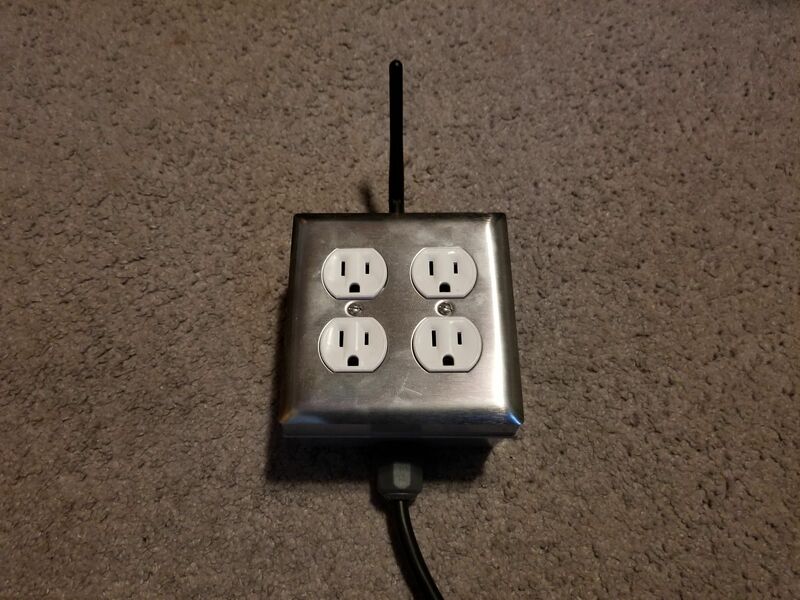 These robust outdoor rated metal boxes house a particle photon WiFi microcontroller connected to a small relay board. Using IFTTT’s google assistant and particle cloud integration, I can use “Okay Google” from my phone or Google Home Mini to turn on and off the left and right bank of outlets separately as desired. In my case, one side is connected to my window fan an the other to my dresser light. I use this on a daily basis and absolutely love it! Especially considering it was a project that only took and hour and a half to make.